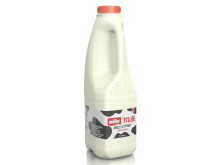 Fresh milk and butter products, made by Müller from milk supplied by British farmers, are to be repackaged to feature the Müller brand more prominently, according to the dairy company. Müller has also confirmed that in addition to being an Official Supporter of the British Athletics Team, it is to be the Official Milk of British Athletics. This will be communicated on pack in 2017. As of December 1, 2016, a phased approach will see the introduction of Müller Milk and Müller Butter to the British market. Müller Cream will follow in March 2017, while Puriti and the One will also be redesigned and branded in a similar format. The product and recommended retail price will remain exactly the same, and the new packaging will also retain the recognised cow print, although redesigned to make the pattern more prominent. 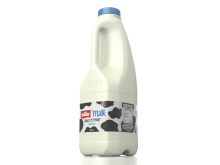 The packaging will replace the existing Müller Wiseman Dairies brand. 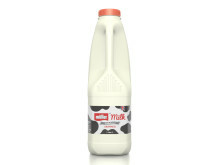 The revamp is in line with Müller’s ambition to significantly grow the dairy category. 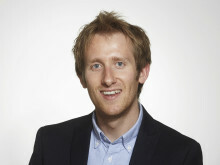 It aims to unlock category growth of £470 million by 2020 in their fresh milk, cream and milk drinks business. “We want Müller Milk to be one of life’s essential pleasures and under the Müller brand, this will allow us to explore various activities, such as exciting on-pack promotions. “It is hugely exciting to become an Official Supporter of the British Athletics Team and the Official Milk of British Athletics. “We really need to be shouting from the rooftops about the benefits of dairy, which contains essential minerals such as calcium and vitamins, and we will be doing everything we can to drive footfall to the dairy aisle. 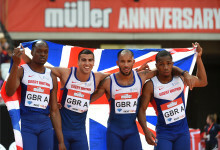 Following the excitement of London 2012, and the success of its 2016 partnerships with British Athletics and Team GB, Müller has confirmed five major athletics event partnerships in 2017. As part of their major athletics partnerships in 2017, Müller has signed up two new brand ambassadors, British sprinters Adam Gemili and Dina Asher-Smith.